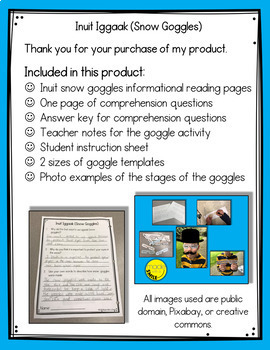 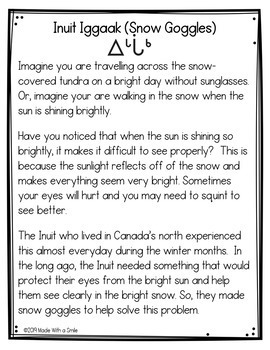 This product focuses on the Inuit people of Canada and a brief history of Snow Goggles. 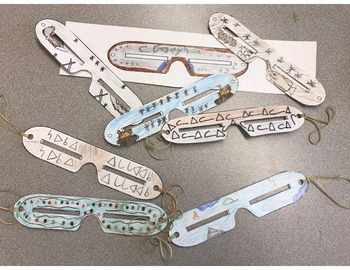 The informational article leads nicely into the goggle activity. 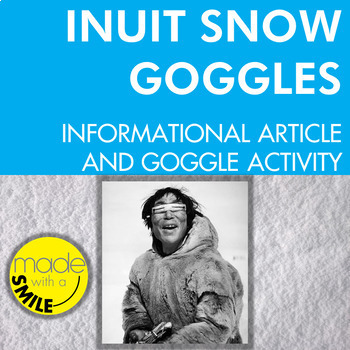 This hands-on activity is a fun way to learn about the Inuit invention of snow goggles!